Perfect days do exist. I had such a day yesterday. The tranquility and solitude, as well as the beautiful terrain of Copper's sub-alpine forest with its 'just right' spaced trees. When such special place is shared by father and son ... there are no words to appropriately describe this magical moment, but the next video will! Copper01162014SD from Santiago Rodriguez on Vimeo. If you watched the video, you might have notice the Propagation Saw Test (PST) stability test. The score was PST30/100(End) - 80 cm of depth at 8000 feet on a slope with 28 degrees with a north aspect. This is evidence of instability. The snowpack is capable of propagating a fracture over significant distances. The risk of avalanches with propagation potential relates to the much larger amount of snow involved in the avalanche. 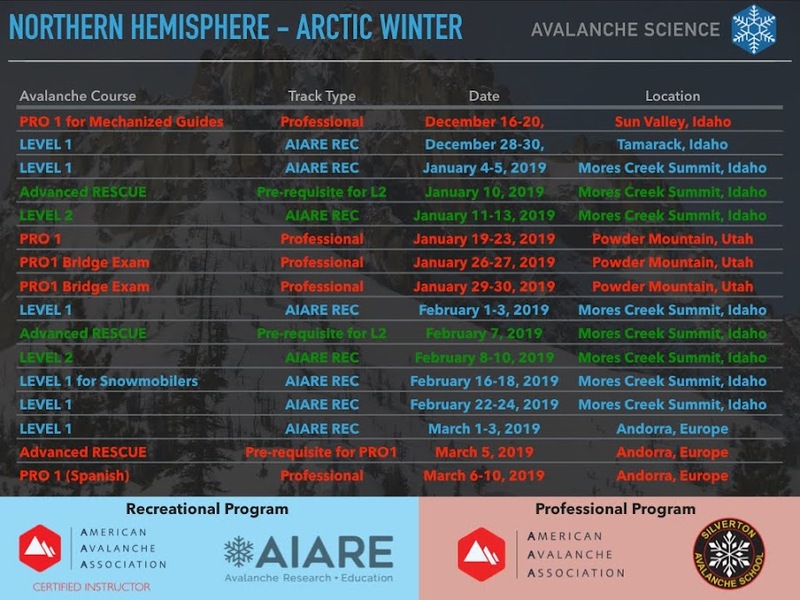 Check the next picture of what propagation means, and how an avalanche propagated readily through terrain at Banner Summit. The score for the Extended Column Test at the same slope as the PST (8000 feet on a slope with 28 degrees and north aspect) was ECTN. The weak layer at 80 cm is deeper than the recommended maximum depth of 70 cms. This season Pedro and I have notice that the heavily faceted nature of the snowpack in our region combined with the depth of the advanced facets make ECT an unreliable tool for identifying fracture propagation. Last week ECT tests failed to consistently detect propagation potential even when many whumpfs and cracking have been present, while the PST have been very consistent. The 30-35 cm interface seems to be sintering well, confirmed by lack of reactivity during yesterday's tour at Copper, and few days earlier at Pilot peak. We keep searching for buried surface hoar but have not detected this structure during the last tours. I should comment that CT scores were CTMQ1(SC) at 80 cm. The sudden collapse (SC) fracture character did not revealed a well developed gliding surface. But the PST failure resulted in a very clean gliding surface along the fracture plane. I have to admit that I was quite surprised by it! The weak layer is close to 10 cms in thickness, and I could NOT distinguish a gliding surface from CT, ECT, or snow pit work. In the video referred above notice how easy the slab block glides along a well defined fracture plane produced by the PST failure. Bottom line is that Pedro and I are being diligent in measuring the angles of every slope before skiing it, and making certain that we only ski slopes below 35 degrees in steepness, and that are not connected to steeper slopes either. Even in subalpine terrain the snow depth is highly variable, and the likelihood of finding a trigger point is not negligible. As an example, yesterday as we skinned out of a narrow valley bottom, with highly consequential terrain traps, I detected a hollow wind slab undermined by advanced facets. The slope was approximately 30 degrees, but it sends shivers along my spine, and I found myself rapidly but carefully skinning backward to safety. Notice that the wind slab was very localized, and it was created not by prevalent winds, but by cold air sinking along a steep narrow drainage! The skiing was fantastic. But you knew that from the video. North aspects snow skied creamy with 20 cms of dense and loose snow consisting of small facets. Aspects with sunlight were skiing much better, with a silky satisfying feeling typical of large diurnal recrystallized crystals covered by massive amounts of large surface hoar crystals. Pedro & Chago tracks at lookers right. Diurnal recrystallized snow skiing! In the above picture we can see a set of tracks to the left. This slope averaged 32+ degrees in steepness with a 34 -35 degrees roll in lower third. The party did not skied one at a time. Last December 2012 this same slope avalanched naturally during a surface hoar instability cycle. I hope members of this party read this: Pedro and I really loved your your uphill track. You did a superb job - very nice indeed. Pedro and I also enjoyed hearing your happy hooting after skiing the above west aspect slope. We really want you around. Please be safe, and follow nature rules. Always-Always-Always ski one at time in slopes steeper than 28 degrees! Back to surface hoar - this layer is going to be next problem once they get buried. And it is unlikely that warm temps or wind can destroy all of the surface hoar now resting in top of the snow at Banners Summit area. Enjoy the sequence of pictures for surface hoar crystals observed yesterday. The gradients at the top 20 cm of the snow surface guarantees that diurnal facet recrystallization will continue unabated! Skin transitions at creek bottoms looked cold and felt cold ... brr! At sunny aspects the temps were just below zero degrees celsius. Very nice indeed for sitting down to enjoy snacks along with the splendid views. Copper Mountain South Face - Nice ski tracks! One of my favorite ski tours, south of Copper, we call it 9218. We drove back to Boise after sunset, but not without snapping pictures of the always interesting avalanches at I21. The day was concluded with a visit to the Idaho City famous Trudy's restaurant. Was this a perfect day or not?